Walhalla city hall and all offices of the City of Walhalla will be closed Monday, February 20, 2017 in observance of Presidents’Day. Utility customers may use night deposit to pay bills. 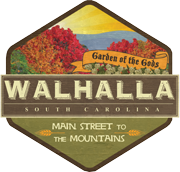 The City of Walhalla offices will be closed Monday, January 2, 2017 in observance of the New Year. Please use the drop box for Utility payments. City of Walhalla offices will be closed for Christmas Holidays on: Friday, December 23, 2016 Monday, December 26, 2016 Tuesday, December 27, 2016 Please use the outside drop box for utility payments.